Setty was likely unique in having the audacity to ignore financial worries and get involved in what was still a new and experimental field as an engineering student in Britain. This wide-ranging column will take as its basis a discussion of a book every month on the history of science and technology, and relate it to a theme of current relevance. Read the other articles here. On a recent visit to Manchester’s Museum of Science and Industry, a friend pointed out a small printed display next to a wooden model of an early Avro plane. It showed a man in suit and tie, sporting a drooping moustache and a white turban. The caption identified him as S.V. Setty (1879-1918), an “apprentice and unpaid draughtsman” at A.V. Roe and Company in 1912. It went on to declare: “India regards him as its first aircraft engineer”. This was intriguing; to the best of my knowledge Setty is not a household name in India. I set out to find out more. Newspapers, websites and online forums have occasionally featured discussions on Setty, but the most detailed account we have of his life is contained in Kashi Viswanatha Setty’s slim volume, The First Indian Aviator: S.V. Setty, published by the Karnataka Arya Vysya Maha Sabha in 1984. Translated from the Kannada, the book gives a timeline of Setty’s life and includes some of his letters in an appendix. Srirama Venkatasubba Setty (also known as Setti or Chetty) was born in Mysore in 1879 and earned a B.A. from the Maharaja’s College before enrolling in the Engineering College at Guindy, Madras. From Guindy, he transferred to the Thomason College, Roorkee, where he completed his engineering degree with high honours, but missed out on a prized appointment in the Indian Public Works Department (PWD) because he was above the age limit. He did get a job with the Mysore PWD, however. He served until 1909 before going on leave, having won from the Mysore government a scholarship to Faraday House, London, where he studied for a diploma in electrical engineering. This was a sandwich course, and Setty was soon gaining experience at firms in Rugby, Wolverhampton and London. During this time he also became an associate member of the Institution of Electrical Engineers. Setty clearly had an appetite for learning. In England, he was attracted to flying and aeroplane design, which were newly in vogue (in the United States, the Wright brothers had made their first successful powered flight in 1903). Extending his leave and procuring loans from some wealthy patrons at home, he joined Avro in 1911 as a trainee pilot and draughtsman at the company’s Brooklands airfield in Surrey. The company, which was among the first aeroplane-makers in Britain, had only been a year old at this point. At Brooklands, Setty regularly flew in various Avro planes, earning several mentions in Flight, the journal of the Aero Club in Britain. This was an experience few Indians would have had until the end of World War I. Flying took off in India in the 1910s but was mainly the preserve of wealthy princes. Setty was by no means alone in being an Indian engineering student in Britain – but he was probably unique in having the audacity to ignore financial worries and get involved in what was still a new and experimental field, offering little by way of career options in India. It couldn’t have been easy. For one thing, flying in the early days involved mortal danger. For another, he would have stuck out like a sore thumb at Brooklands. On one occasion, when he veered off course, Flight reported, “After two or three straight lines he turned off and ran into the sewage farm. He is a vegetarian, and it is thought that he may possibly have had some irresistible attraction for the cabbages which grow that way.” This may well have been good-natured ribbing but it would not be surprising if it felt like a barb at some level. In addition to flying, Setty was involved in preparing drawings for various planes being designed at Avro in 1911-12. It is difficult to establish with certainty the exact nature of Setty’s contribution. Documentary evidence from his time at Brooklands is scarce, and Avro’s early records perished in a fire in the 1950s. (Setty’s great-grandson has collected some documents and a medallion awarded to his ancestor, though I have not had the opportunity to look at these in the original.) The most reasonable assessment I have found so far is in a note on Setty prepared by the Museum of Science and Industry, Manchester, and kindly made available to me by them. Considering various sources carefully, the note concludes that Setty “definitely worked on general arrangement drawings for the Avro Type F” (the first plane with an enclosed cockpit), and possibly “worked on drawings for the original [Avro] Type E”, a biplane – having wings in a double-decker arrangement – that formed the basis for the Avro 500 series. 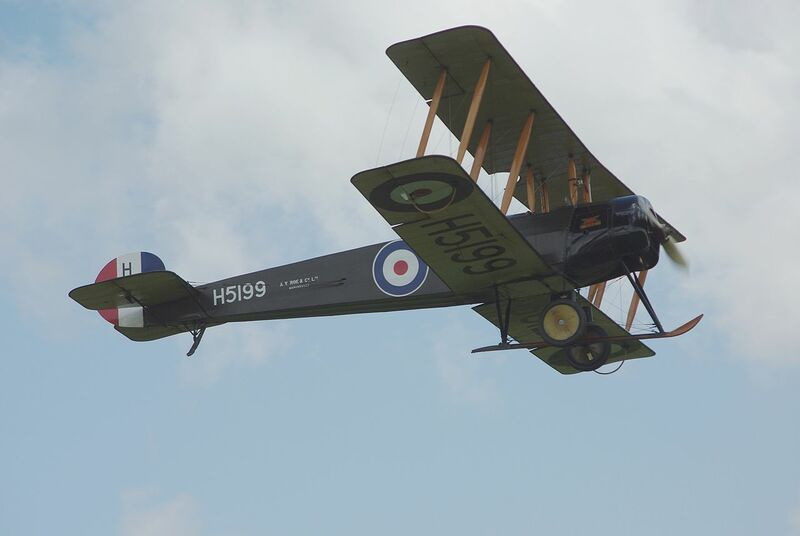 The Avro 504 would play a major part in World War I. Having received a handsome certificate from Avro, Setty went back to his job in Mysore, leaving England in June 1912. There he was deputed as superintendent of the Mechanical Engineering School in Bangalore. He continued to have an interest in aviation, and with his year-long experience with Avro he was confident that he could build an aeroplane in India. He sought permission from the Mysore government and requested Rs 15,000 in funding. From the estimate of expenses that he enclosed with his request, it appears that he aimed to construct a biplane along the lines of the ones he had worked on in England. The dream was short-lived, however, as World War I broke out and the Government of India disallowed the flying of aircraft in its territory. Why is Setty not better known? In his lifetime he was not shy of publicity. He was eulogised by the Calcutta-based Modern Review, sent photographs of himself with an Avro biplane to a professional journal and, upon his return to India in 1912, was honoured at gatherings in Erode, Bangalore, Madras, Coimbatore and Kollegal. But what fame he enjoyed was tied to his career in aviation, which had lasted all of one year, and which he had no way of continuing. Still, had Setty lived a long life, his reputation might have grown. But he was denied that privilege: the influenza pandemic of 1918 claimed him before he was forty. Perhaps it is a mistake to focus exclusively on Setty’s exploits in the air, for he became a prominent citizen of Bangalore and continued to make an impact in other fields. He set up scholarships in his parents’ names; experimented with building a Kannada typewriter; was almost certainly a member of the Freemason Lodge in Bangalore; and was acting professor in the city’s engineering college (he was confirmed in the post shortly before his death). Trying to identify firsts in the history of technology is often an unrewarding exercise – nor is it particularly useful to invoke individual genius in explaining technological developments. Personal courage, determination and imagination are by no means unimportant – and S.V. Setty had them in good measure – but we would do him a disservice if we saw him in isolation from the world in which he worked. A number of interesting questions beckon. How did this Roorkee graduate develop an interest in electrical engineering, still a novel subject in the 1900s? In what circles did he move as a student in London, and how did aviation catch his fancy? To what extent did the munificence of the Mysore government and his acquaintances influence the direction of his career? Did Setty’s efforts have a long-term impact on aviation in India? It may have been a coincidence, but when aircraft manufacture eventually took root in India in the 1940s, it did so in Bangalore and with the support of the Mysore government. But that is a story for another day.